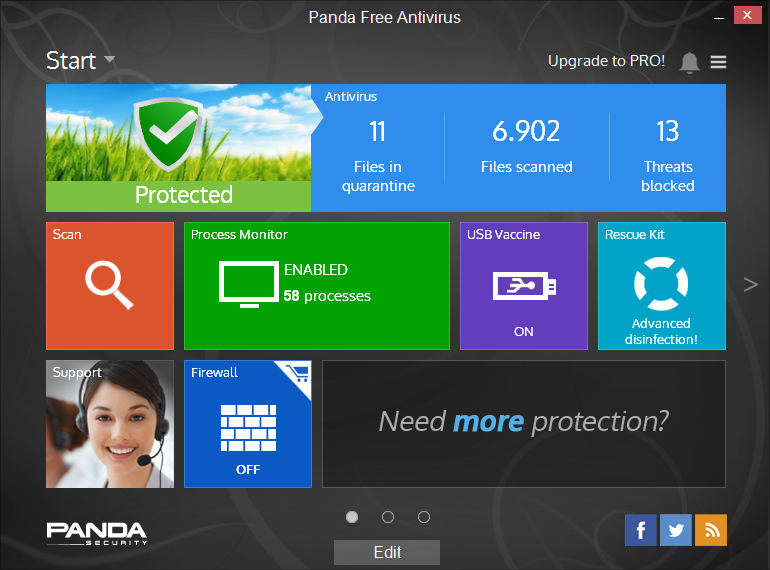 Panda Cloud Antivirus is the first free cloud-based antivirus thin-client. It consists of a lightweight antivirus agent that is connected in real-time to PandaLabs' Collective Intelligence servers to protect faster against the newest malware variants while barely impacting PC performance. 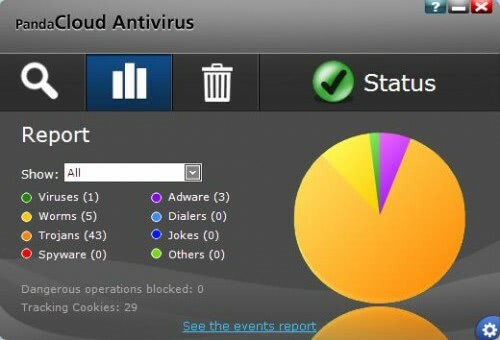 Panda Cloud Antivirus is the first free cloud-based antivirus thin-client. It consists of a lightweight antivirus agent that is connected in real-time to PandaLabs' Collective Intelligence servers to protect faster against the newest malware variants while barely impacting PC performance. Thanks to Panda Security's Collective Intelligence malware and goodware online database, Panda Cloud Antivirus detects more malware than traditional signature-based solutions which take longer to detect the most recent, and therefore most dangerous, variants. Panda Cloud Antivirus protects you while you browse, play or work and you won't even notice it. It is extremely light as all the work is done in the cloud. Panda Cloud Antivirus provides you with the fastest protection against the newest viruses thanks to its cloud-scanning from PandaLabs' servers. Panda Cloud Antivirus is truly install and forget. Don't worry about updates, configuration or complicated decisions ever again. All Panda Cloud Antivirus Free Edition reviews, submitted ratings and written comments become the sole property of Windows 7 download. You acknowledge that you, not windows7download, are responsible for the contents of your submission. However, windows7download reserves the right to remove or refuse to post any submission for any reason. Windows 7 Download periodically updates pricing and software information of Panda Cloud Antivirus Free Edition full version from the publisher, but some information may be out-of-date. You should confirm all information. Using warez version, crack, warez passwords, patches, serial numbers, registration codes, key generator, pirate key, keymaker or keygen for Panda Cloud Antivirus Free Edition license key is illegal and prevent future development of Panda Cloud Antivirus Free Edition. Download links are directly from our mirrors or publisher's website, Panda Cloud Antivirus Free Edition torrent or shared files from free file sharing and free upload services, including Rapidshare, MegaUpload, YouSendIt, SendSpace, DepositFiles, DivShare, HellShare, HotFile, FileServe or MediaFire, are not used.